Wireless (802.11n) cube 2Mpix/FullHD camera for indoor applications equipped with fixed focal lens, uSD/SDHC card support, mouning bracket. Unique design and wifi support make this camera a perfect solution for a discrete monitoring in home, office, shop etc. 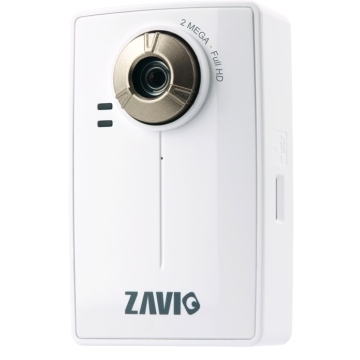 Product type 2Mpix/FullHD color camera wireless camera with WDR support. Electronic shutter 1/2 ~ 1/10000 s.